To complete this route is to undertake one of the great outdoor challenges of the UK. It will be a tough day, but worth it for that feeling of satisfaction. The scenery is dramatic and ever changing, wildlife abounds as do carpets of flowers encouraged by the nutrient rich soils of the Limestone pavements. We start and finish in the village of Horton-in-Ribblesdale, from here we can observe much of the route that awaits our discovery. Upon our return to Horton, collect your vehicle and head to your nearby accommodation where an evening meal can be enjoyed. 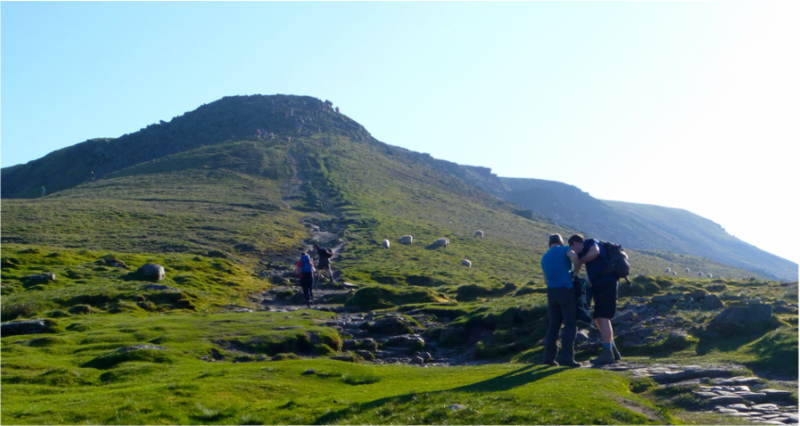 This is a long walk, covering approximately 23 miles whilst ascending the 3 highest peaks in Yorkshire, therefore a few training walks and visits to the gym will undoubtedly add to your overall enjoyment of the trip. This route takes us over the highest peaks in Yorkshire, be prepared for some adverse weather. Hopefully we shall only experience brilliant sunshine.